The 2013 Honda Civic is available in both sedan and coupe variants, and offers 3 different engines for every need and every budget. The racing-inspired 1.8 liter i-VTEC 4 cylinder engine produces 140 horsepower while averaging 6.2 l/100km in fuel economy with a 5 speed-manual transmission. For even better fuel economy, opt for the 2013 Honda Civic Hybrid and its 1.5 liter 4-cylinder hybrid engine with an average fuel consumption of only 4.3 l/100 km. For uncompromising drivers, the 2013 Honda Civic Si's 201 horsepower i-VTEC engine matted to a quick-shifting 6-speed manual transmission provides powerful accelerations and effortless passing. 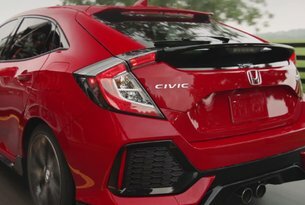 The Honda Civic is the first compact car and the only vehicle within its segment to have been named a Top Safety Pick+ by the Insurance Institute for Highway Safety. 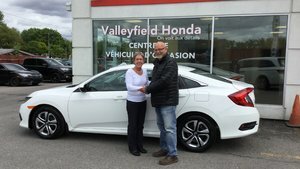 The 2013 Honda Civic protects its occupants with the latest generation of the ACE body structure that is designed to disperse the force of an impact away from the cockpit and its passengers. 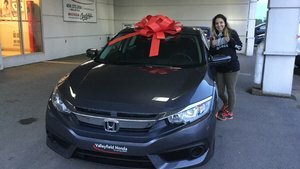 The 2013 Honda Civic also comes standard with 6 airbags and Brake Assist, which applies full brake pressure when an emergency stop is detected. 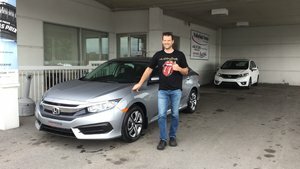 With its dramatic exterior and interior styling modifications, powerful yet fuel efficient range of engines, class-leading safety, legendary reliability and a starting price of 15 440$, the 2013 Honda Civic is the most affordable way to have it all.